The Regulation on the Amendment of the Regulation on Payment Services and Electronic Money, Payment Institutions and Electronic Money Institutions ("Amendment") which has been drafted by the Banking Regulation and Supervision Authorisy ("BRSA") in order to amend the Regulation on Payment Services and Electronic Money, Payment Institutions and Electronic Money Institutions ("Regulation") has been published in the Official Gazette and entered into force on October 12, 2018. Amendment regulates that the payment institutions and electronic money institutions ("PSP") may only provide payment services disclosed during the activity permit application to BRSA; and providing additional payment services which were not disclosed during the application shall require an additional application. According to the relevant amendment, in case additional services are planned to be provided, updated documents on the updated activity plan and the procedures shall be subject to an additional application before the BRSA and the such additional services may only be provided following the BRSA's permit. On the other hand, the Amendment set forts the activities not subject to the activity restriction. Within this scope, PSP may provide subsidiary services complementing payment services such as purchase and sale of foreign exchange, card information storage, processing card data, prevention of fraud and misconduct and training and consultancy activities relevant to payment services only with regard to providing payment services. Additionally, for the services allowed under the Amendment, BRSA has the authority to impose an additional equity requirement. While there was no explicit restriction in the Regulation on the provision of the payment services by the branches and agencies of the representatives, the Amendment prohibits representatives to provide payment services via branches, agencies and sub representatives under any name. In accordance with the Amendment, sub representatives shall become representatives via an agreement or the payment activities of such parties shall be ceased until 31/12/2018. With the Amendment it is clearly stated that the cash obtained via machines allowing payment transactions or transactions on electronic money automatically such as ATM and kiosks shall also be deposited in electronic money fund account after such amounts become available for PSP or transferred to the account of PSP. The method that is to be followed also prior to the amendment has been clarified due to the wording of the Amendment. On the other hand, PSPs conducting intermediary activities for invoice payments are allowed to reserve collateral as lease certificates along with government inner debt deed or money in the amount of 1 (one) million Turkish Liras. In cases where the collateral is in the form of government inner debt deed or lease certificate and its market price has decreased in value at least by 10%, PSP shall round up the collateral to 1 (one) million Turkish Liras within 10 (ten) business days and report such case to BRSA. With the Amendment, it is allowed to execute an agreement which removes or modifies the requirement of amendment notice which had to be delivered 30 (thirty) days prior to the effective date, in case the payment service user is not a consumer. According to the Amendment, independent audit report related to year-end financial tables shall be presented until the May 15 of the following year and BRSA has the authority to grant additional time when required. The Regulation is amended to include Posta ve Telgraf Teşkilatı Anonim Şirketi's authorisation to provide payment and electronic money services. Amendment has entered into force at the date of publication. Those providing payment services as the branch or agency of PSP's representative as of the date of publication, shall execute a representation agreement with the PSP until December 31,2018. 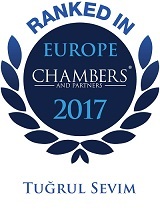 He assists clients in the management of their Intellectual Property portfolios and the establishment of their market strategies on complex ICT projects and in negotiating and drafting complex IT contracts with strong Intellectual Property and regulatory content.Tuğrul also has a strong capability in data privacy. advises businesses on how to strategically manage their privacy, security, electronic workplace, and e-business legal risks both domestically and globally. He has assisted a wide range of business in a variety of industries by developing a privacy strategy that yields practical solutions in a rapidly evolving area and that weighs costs and benefits in a light of a company's risk profile and culture. Marmara University, Faculty of Law, LL.B. Bilgi University, Faculty of Law, Economics Law, LL.M.